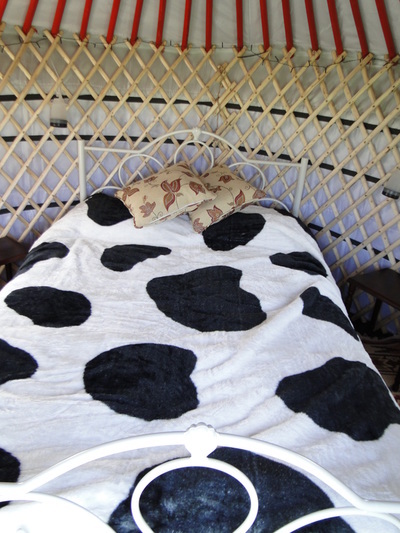 We are able to offer a 2 person yurt ideal for couples or for additional accommodation when larger families are staying in our other larger yurts. 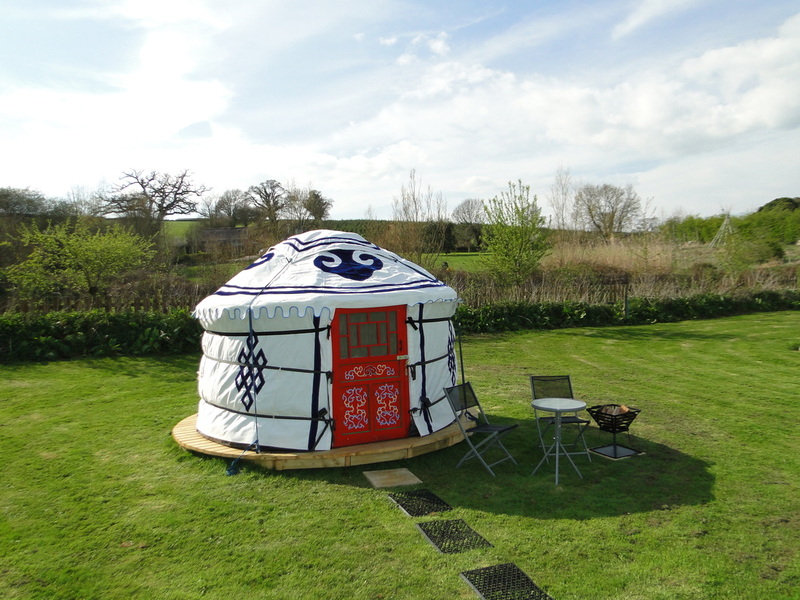 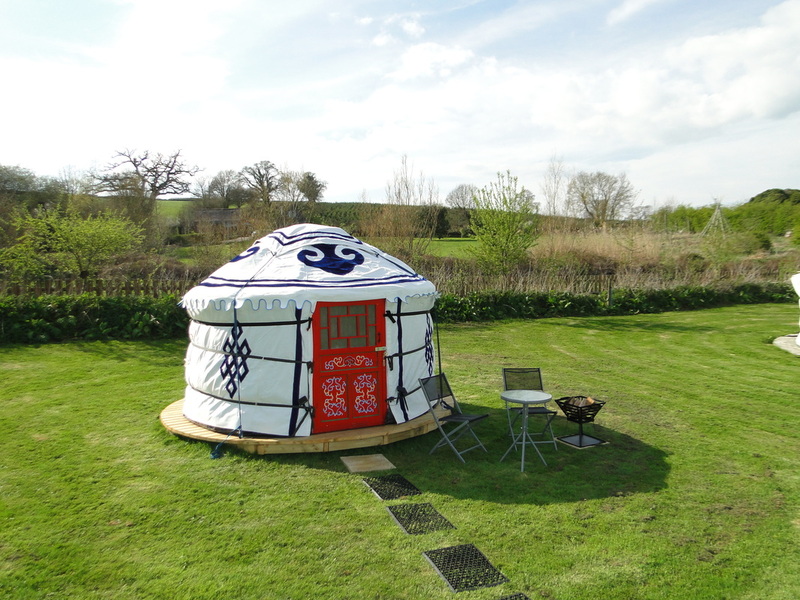 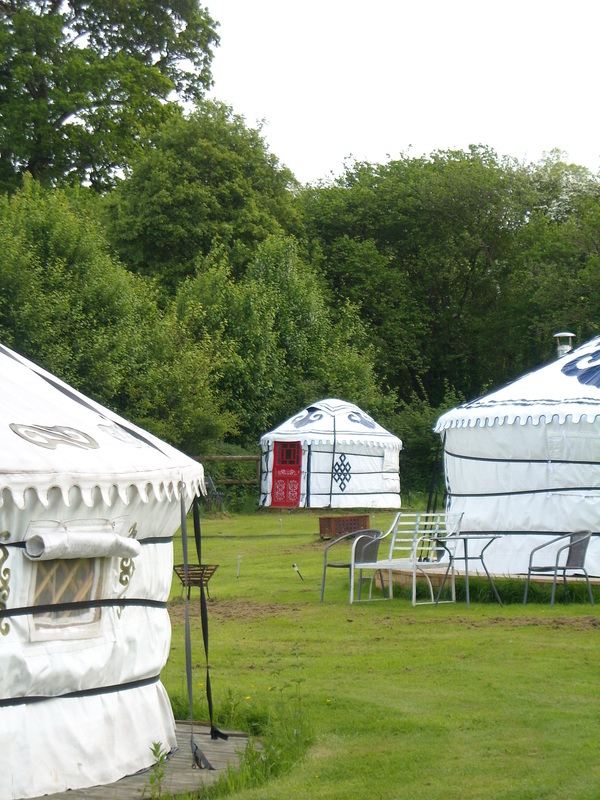 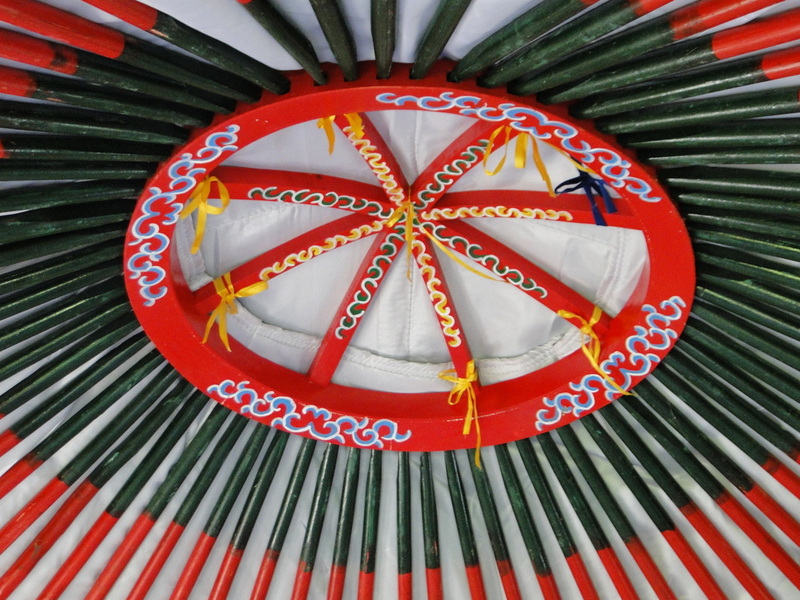 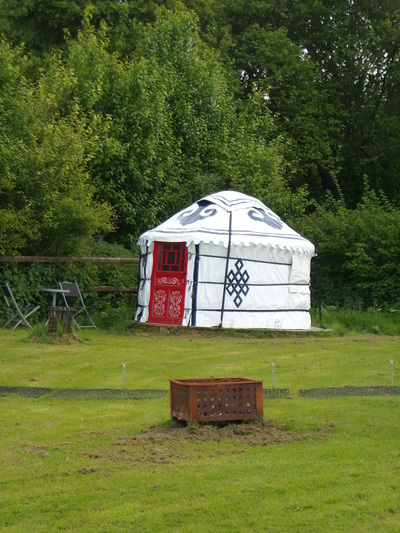 The Plym yurt is an authentic Mongolian yurt with ornate decoration and hand carved roof rafters and decorated doors. The Plym yurt has a double bed, cushions, throws and rugs and is a bijou 3m in diameter. 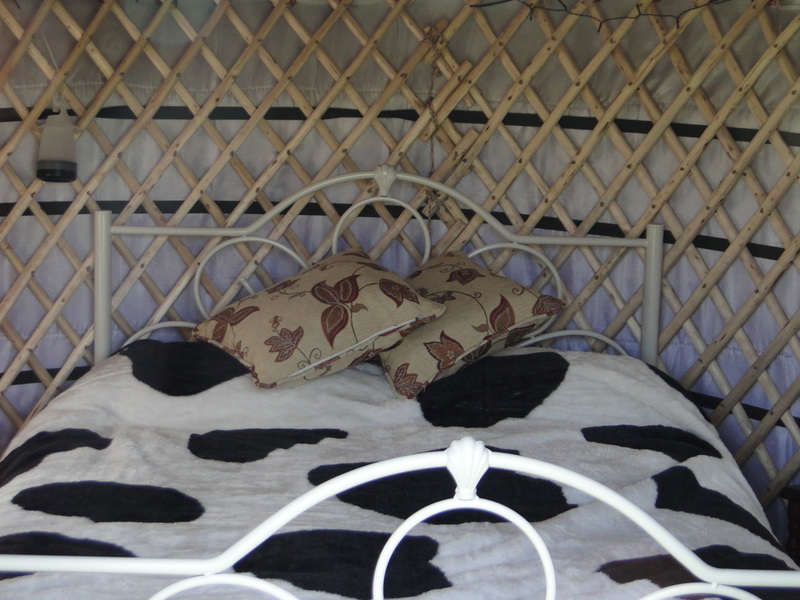 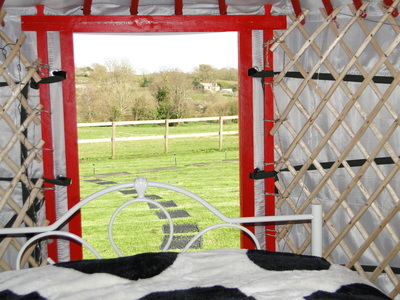 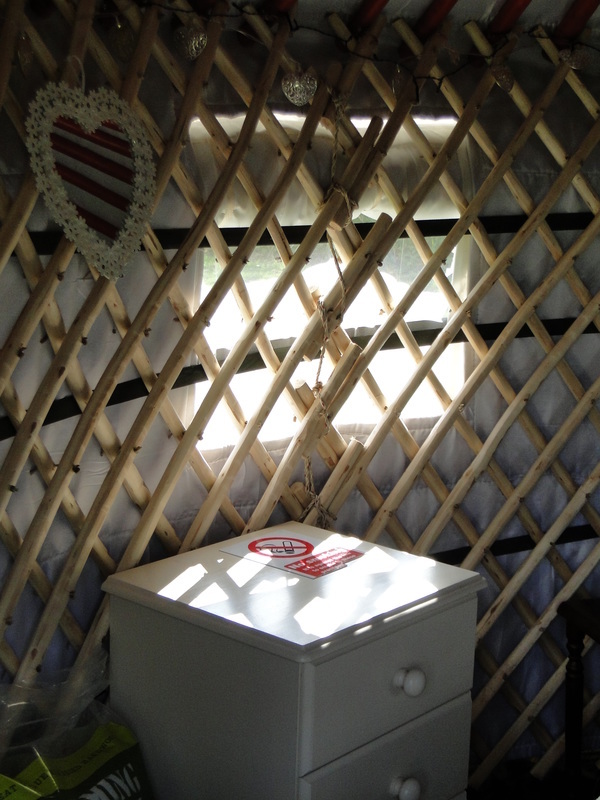 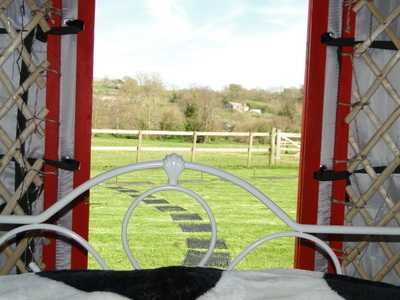 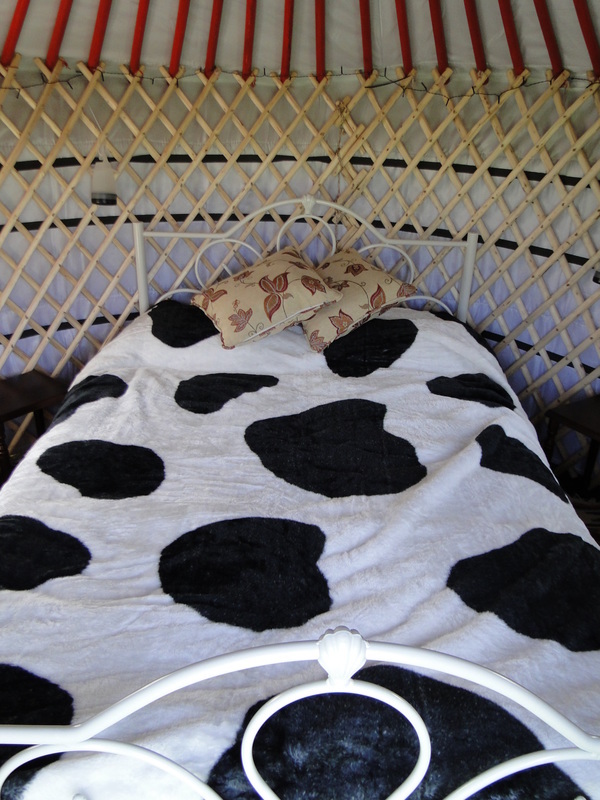 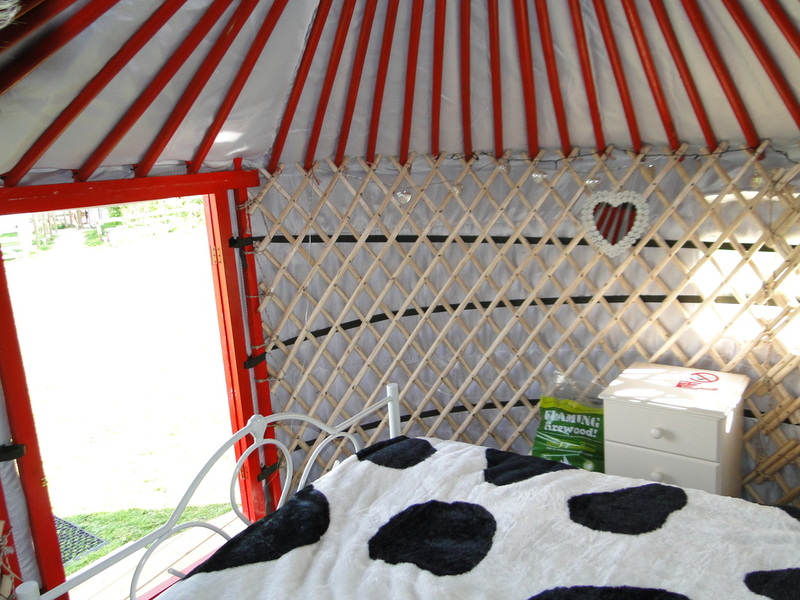 The Plym yurt is very cosy for a romantic get away or short break. 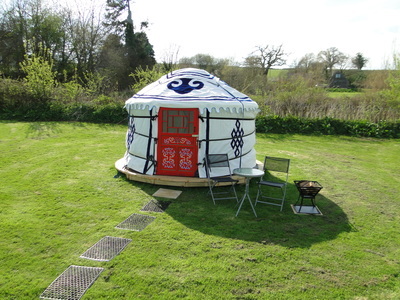 With a felt lining as insulation this yurt has no need for a wood burning stove as there is no room for one in the smaller cosier accommodation. There is an outside seating area and a fire pit. 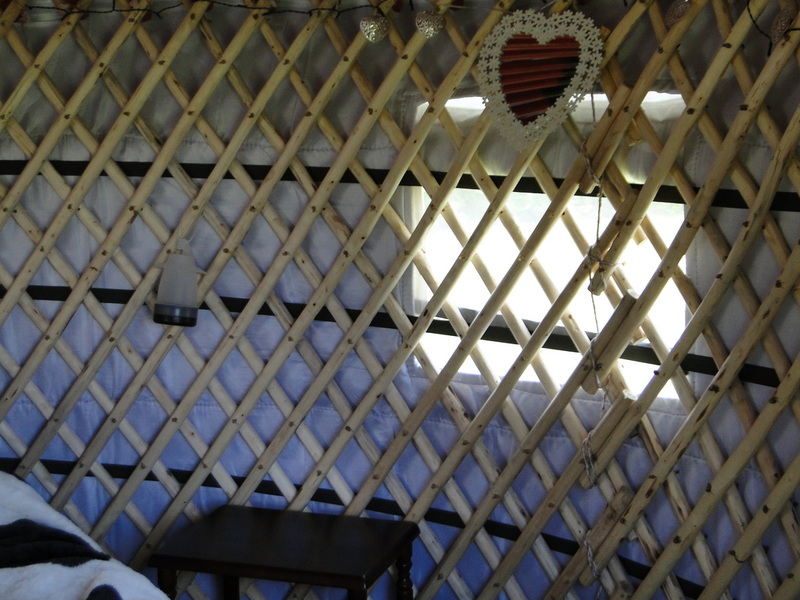 Please note that the Plym yurt does not have a wood burning stove inside, The Plym yurt is only available during the warmer months and is available for the summer months including the May bank holiday until September 30th. 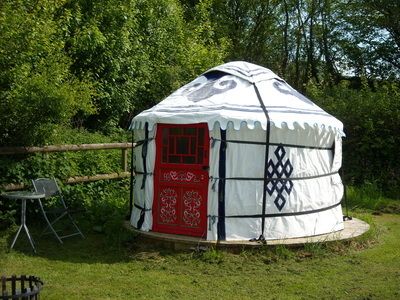 Please enquire for more details and availability.